In today’s competitive marketplace, restaurant companies are seeking ways to become more competitive, more efficient, and more able to anticipate and meet their needs and the needs of their customers. Restaurants with a holistic view of their company, suppliers, and customers, and how those different areas interact with each other, are in a stronger position to make more successful decisions. 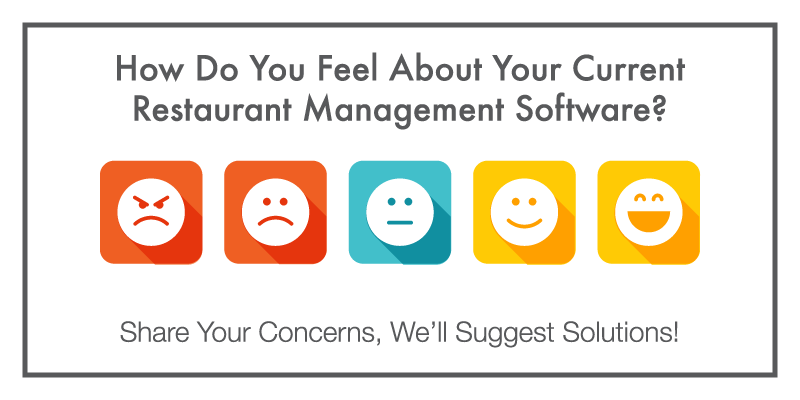 Restaurant companies generate a lot of data on a daily basis from all the systems they have in place. How you collect, organize, combine, analyze and distribute that data can have a big impact on the overall success of the business. Without the support of a reliable means to consolidate, report and analyze data your teams can get caught up and spend way too much time gathering, reconciling, mapping and processing data. Eventually, your company can lose the most important aspect of having access to your date, the time to spend analyzing. "We had a lot of useful data, spread across legacy systems that couldn’t communicate easily. We had to spend a lot of time cutting and pasting to perform the analysis we needed," Uno Pizzeria. Data Consolidation - What Does It Mean? So, what is Data Consolidation? Well, it refers to the collection of data from the multiple sources a restaurant company may use to operate and manage its business, and integration into a single database. During the integration process, data from each source is transformed, which allows it to then be used/combined with other data for future report creation and analysis. “We needed a way to aggregate all our data no matter what POS it came from and make our transition smoother. We’re a company that always wants to go back and see how many hamburgers we sold during this promo period and how many drinks we sold. We lose that if we picked a vendor that wasn’t able to do multiple POS systems,” Lehigh Valley (Red Robin Franchisee). The info-graphics above/below are not exhaustive views but rather, are intended to open the imagination to the range of data/companies that restaurants use to run their businesses. The reality is that every time you add a new set of data, it increases the value of all the data in the system. This is due to the ability to combine and analyze the data from any/all of your systems. All aspects of your restaurant business produce and require information. The ability to provide the best service or product depends on the flow, control, and visibility of this information. Problems tend to occur when parts of the business use different software applications or methods of storing information (how many Excel spreadsheets are in use in your company – are they accurate). This can make the process of accessing and analyzing data extremely difficult, costly and in some cases impossible. Often there are duplication's of effort across different databases, costs incurred by multiple software licenses, and data protection issues. For example, customer feedback trends reveal more when combined with sales and labor. Causal relationships can be revealed by combining data. 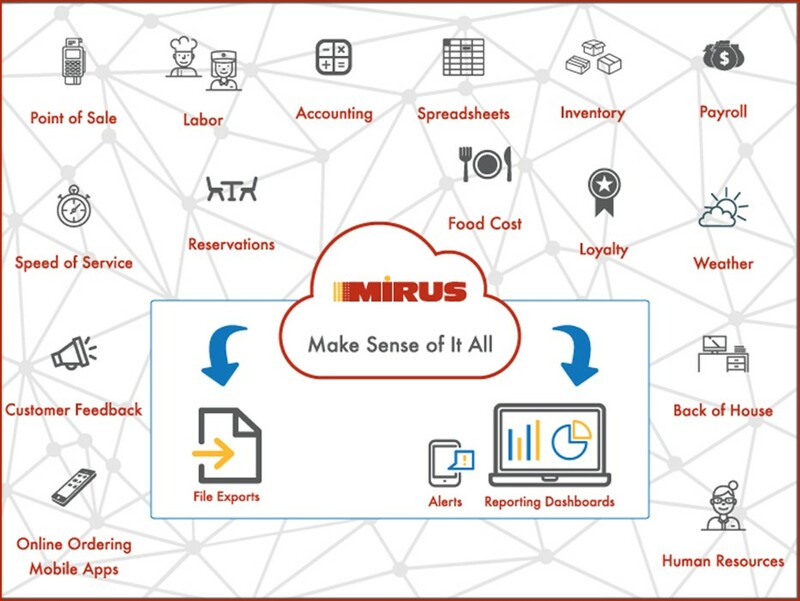 Mirus’ focus is to help our clients leverage their existing data, so they can gain new insights and perspectives that help them make the best decisions for their businesses. They’re able to do this because they can easily and quickly combine data from any of their systems. 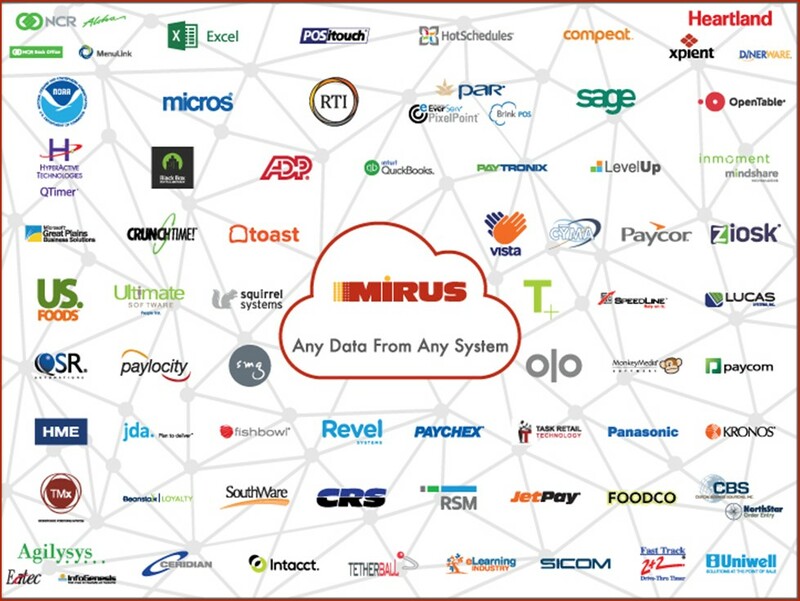 How does your company currently consolidate the data your restaurants produce?